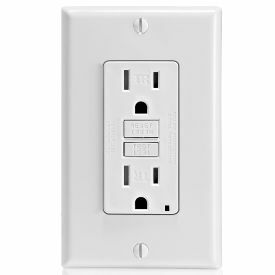 What Type of outlet do you need? 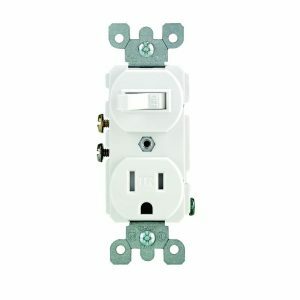 If you’ve ever been to a department store and thought about changing a couple of old outlets in your home, then you’ve more than likely come across several kinds with very little explanation as to what their difference is. 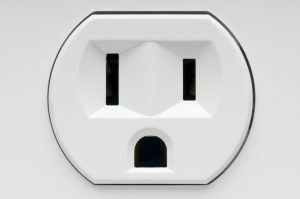 GFCI, AFCI, Switch outlets, USB, and what in the world are smart outlets? Calling an electrician is a good start. Not only do they understand the various kinds of outlets in your home, they also know which type you need and where. Keeping up with the electrical code is part of their job, and they can ensure that your home is up to code and safe from electrical hazards. This is especially true when updating outlets in an old house. But If you’re interested in knowing your options, here are the most common types of outlets. 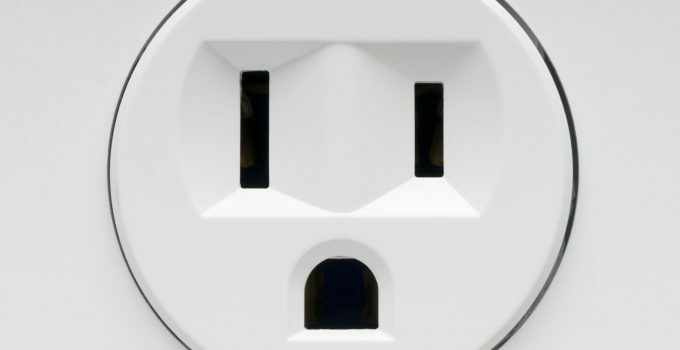 This is the most common type of outlet you’ll find in any home. It has a plugin and a ground and there’s not much else to say about it. It’s as basic as you can get. Ground fault circuit interrupter or GFCI is meant to shut off an outlets power when it detects a short or ground fault. What that means is if you are using a hairdryer, and your standing on a wet floor and your feet are wet, and the hairdryer suddenly short circuits a GFCI will stop the power current before it can pass through you and electrocute you. 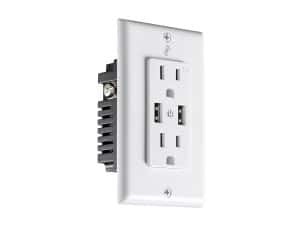 These types of outlets are found where there are water sources such as bathrooms and kitchens. 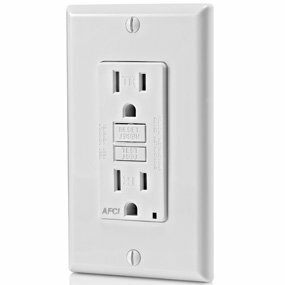 AFCI’s or Arc Fault Circuit Interrupter, look like GFCI’s but serve a different purpose. Arcs are what happens when Electricity jumps wire to wire and can result in a fire. All modern houses should be equipped with at least a few AFCI plugins, and the new code is requiring them more and more in homes. Any home built before 1999 should look into updating their receptacle outlets to help protect their homes against these hazards. Switch outlets are a combination of a switch (like a light switch) and a standard outlet. It’s pretty much just a normal outlet you can turn on and off with a switch. Perhaps an outlet with a lamp or a piece of equipment that you don’t want to have to plug and unplug again and again to turn off and on. Have you ever lost the box to your phone and wished that you could just plug the cord directly into the outlet? Or felt like the charging box is getting a little worn out and you’re tired of buying new ones. Then this outlet is for you. It comes two ways, either with a standard plug with USB ports or one with just the USB ports and charges your devices up to 4amps so your devices are always charging at full capacity. Smart outlets are the latest innovation in outlets. They are just like your standard 3 slot outlet, however, they can be turned on and off anywhere using a smart device, such as a smartphone. 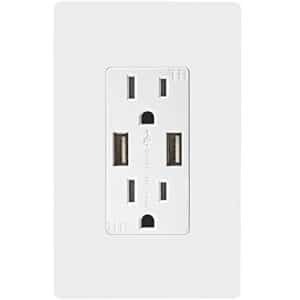 This outlet does require you to have a smart home hub, but if a smart home is your goal then this outlet is for you.